A Judge has recently decided to refuse a wife’s petition for divorce on the basis that her allegations regarding her husband’s unreasonable behaviour were “minor altercations of a kind to be expected in a marriage”. This decision is not only highly unusual but it is extremely controversial, as how can it be right to force one spouse to remain married to the other against their wishes? Such a decision will surely resonate with those supporters of a growing movement within the UK who seek the introduction of “no fault” divorces, on the basis that to force one party to blame the other for the breakdown of the marriage in order to obtain a divorce is both archaic and unnecessarily hostile. The wife has now taken her case to the Court of Appeal and, whilst I accept that not all of the facts of the case are known, I hope that the Court embraces this opportunity to bring divorce law into the 21st century. 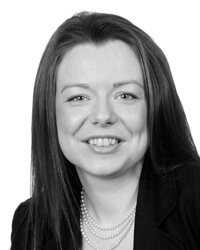 For more information on divorce legal advice, contact Lora Grogan on lgrogan@bussmurton.co.uk or 01892 502 333.